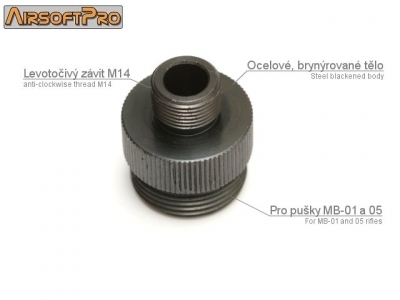 Adapter for sniper rifles Well MB-01, 04, 05, 06, 13 Include 14mm anri-clockwise thread. Made of hard steel with black surface. Inned diameter support long barrels and provide good axle fixation.